Every politician will say they think our veterans deserve our best, especially when it comes to their mental health services. One way to do this is to make sure we have a great mental health system for everyone (just so you know, Legislature). But the unique challenges faced by our veteran populations across Texas deserve not just our rhetoric, but our resources and responsibility. Our Veterans Behavioral Health Initiative at MHA of Greater Houston is leading these efforts, and here is why. First, it makes sense to understand just what is the population of veterans in our area who might need access to services. And the place to find that answer is the City of Houston Office of Veterans Affairs. Started under former Houston Mayor Bill White, the Office of Veterans Affairs is housed at City Hall has a mission is to assist Houston in becoming the best city in the nation to our serving military, veterans, and their families. 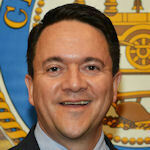 Carl Salazar was appointed as Director by Mayor Annise Parker in 2013. Carl received his commission in 1989 from the United States Naval Academy and served on two combat tours that included service on the USS Ford during Operation Desert Storm. Carl is focused on keeping Houston a national leader in providing assistance to transitioning service members and their families by helping veterans gain employment, supporting their mental health needs and ending veteran homelessness. Bill Kelly: I’m here at City Hall with Carl Salazar. Carl, thank you so much for joining me today. Carl about how many veterans are in the Greater Houston Area? Carl Salazar: Well, Harris County as a county has the second largest population of vets in the country, only behind Los Angeles, and, while I don’t know exactly how many vets are in Harris County we know there is more than 200,000, so somewhere between 200,000 to 220,000 or so veterans of all eras in Harris County and if you look at the surrounding counties you have over 400,000. So it’s the largest population of veterans in the state of Texas and like I said, nationally we rank right there behind Los Angeles, it’s the only one with more. Kelly: Perfect. And your office, because of that big population number is really here to connect veterans and their families to resources that are available. Can you talk a little bit about how you do that? Salazar: Yeah, so we have a mission that is a little bit strategic and tactical at the same time. On the strategic level, what we do is we oversee the community in terms of serving veterans. We’ll work with the VA, we’ll work with Harris County. We also work federally with the VA but also the military itself sometimes, whether it’s guard, reserves. We also work obviously with the city, but we work with non-profits, for profits. There are all these entities, these resources that do something to serve the veteran community and it requires somebody being at the center or at the hub, more or less trying to make sense of everything and trying to coordinate things and so while we have a small staff and not tons of money to offer programs directly, I think our big offer is to coordinate and streamline communication between organizations. I think, obviously I was not here eight years ago when the office got started, but for the past year and a half or so I’ve seen a lot better organization, I’ve seen a lot of organizations coming together and collaborating and I don’t think that happens by accident so I think the city, this office, has played a big role in making sure that people come together, that we are all sort of operating from the same sheet of music and the goal is to serve veterans. So with the clear need for veteran programs and needed experience in coordinating just how to navigate the various systems, the Veterans Behavioral Health Initiative was formed at MHA of Greater Houston. This effort is led by Tony Solomon, a combat veteran himself who served two tours in Iraq as an Army Scout in the 1st Cavalry Division. I was able to catch Tony in our offices to talk about the VBHI and why it is so badly needed. Bill Kelly: Tony, thanks for letting me steal some of your time. What are the numbers of returning veterans that are suffering with a mental disorder and what problems do they lead to? Tony Solomon: Hi Bill. First of all, I’d like to start off by saying not all veterans are returning from war ans suffering from mental health issues or Post-Traumatic Stress, but unfortunately there are some very sobering statistics about the quality of life that veterans and their families face upon transitioning from the military to the civilian world. One in three veterans are being diagnosed with Post-Traumatic Stress Symptoms; less than 40% will seek help. 22 Veterans a day kill themselves in America and one in three homeless [people] are veterans. Billy Kelly: Wow. Well, what does MHA of Greater Houston do to help coordinate those agencies to really offer help to these veterans? One of the VSOs that Tony works with is Grace After Fire, which plays a key role in providing badly needed support for female veterans. Grace After Fire looks to use Peer to Peer mentoring to help female veterans successfully transition back into civilian life for women who are struggling. A testimonial from US Army Specialist Amber Wilson & retired US Army Staff Sergeant Tish McCullough on what the group means to them. 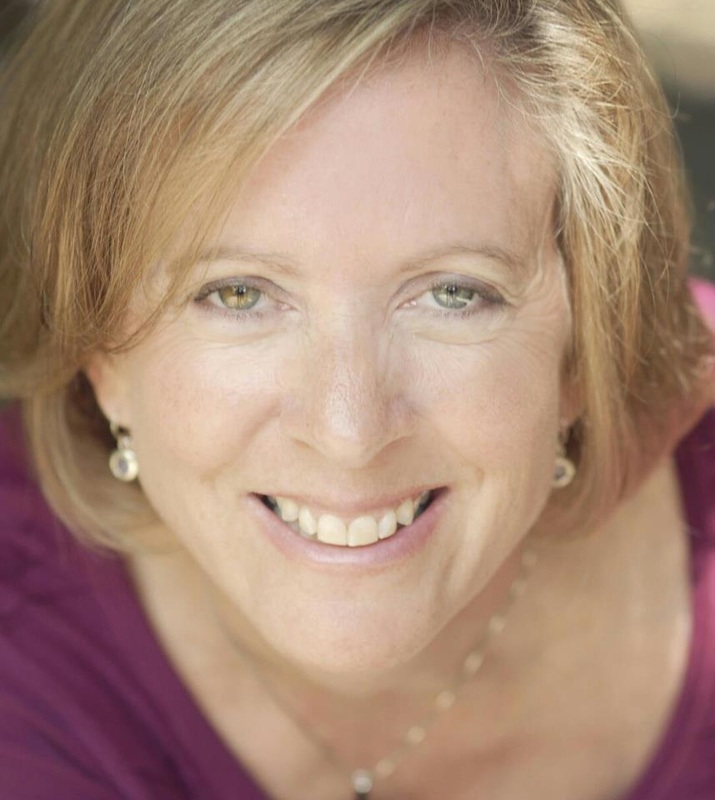 Tish McCullough: You know “Grace After Fire” – it’s just so meaningful to me. That after not being very graceful, after being not such a good mom, after not being the stellar soldier for a while to really be part of something special, to be a part of something I didn’t get when I got back so that another woman does not have to go through the same thing that I had to go through. It’s talking to veterans, taking those stories and provide them with the special care and needs that women veterans have that are different from our male counterparts. We made it and we’re here to help you make it and I really feel like that’s the heart of what Grace After Fire is. 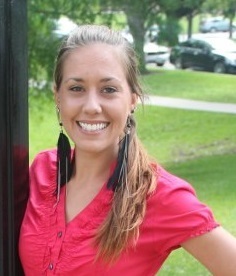 Amber Wilson: Grace After Fire to me is a second chance. The difference between the services needed for male and female veterans is often experienced by female veterans struggling to get the support they need. Fortunately, the good work done by the Texas Veterans Commission has recognized the need for programs to assist the over 170,000 female veterans in Texas. But that support isn’t codified in state law. 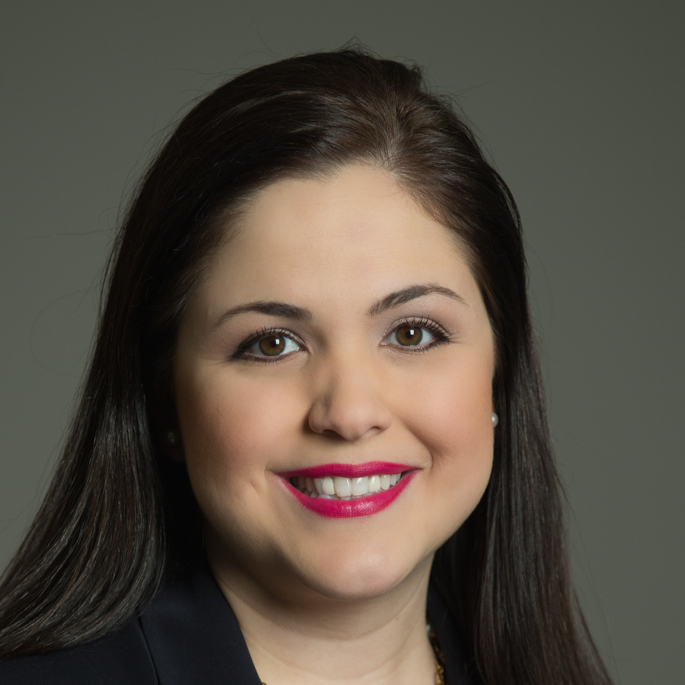 Rep. Ana Hernandez has a bill doing just that in order to ensure groups like Grace After Fire have a dedicated female staffers at the Texas Veterans Commission so that their perspective is mandated in TCV programs. Our favorite Texas Tribune reporter Alana Rocha has this story about the bill and the services needed by our female veterans. Alana Rocha: Casandra Melgar-C’de Baca, who served more than a decade with the Air Force and Air National Guard says these types of gatherings are a chance for women in the F7 Group she founded to open up and resolve trust issues they developed while serving in the military. Adria Garcia: Male and a female will be in combat, go through the same exact experiences but when they come back, they don’t come back with the same – the outcome is not the same. 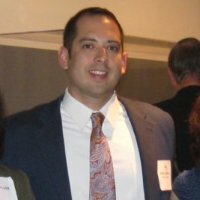 Rocha: Without a dedicated state program to serve the 177,000 female veterans in Texas, many whom are working through emotional and physical ailments, they have to seek help from the back-logged VA, a few staffers within the Texas Veterans Commission or outside groups like F7, that is if they seek help at all. Garcia: As women we take care of everyone else around us, we don’t want to tell them our problems, we don’t want to tell them what we’re going through. We just get up in the morning, put our mommy hat on and take care of everyone else. Rocha: The Veterans Commission employs three full time women focused on assisting women veterans, file claims, find jobs and have access to services, but their assistance is not mandated by the state and could go away. A bill in the state house by Representative Ana Hernandez would require their efforts stay in place. Rep. Ana Hernandez: We hope that this permanent, long-term program will be able to develop policy and also identify factors that female veterans face. Rocha: As a couple of the female veterans here put it to me ‘you can’t just paint something pink and call it a women’s program.’ You need a dedicated resource created by women, for women. Melgar-C’de Baca: Even the most well-meaning guy that’s running a program he’s not going to understand the way a women is going to understand so we need those women veteran coordinator in there because there is just that level of trust. Rocha: After two sessions attempting to pass such legislation there is hope the shades of state politics won’t shadow the need this time. When we talk about the need for successful transition, the unfortunately reality is that too many of our veterans end up in the criminal justice system instead of getting the help they need. Sound familiar? Why can’t we provide the help to these veterans instead of incarcerating those who have served our country? That’s exactly what 60 Minutes wanted to know and when they went searching for answers. Scott Pelley was introduced to the Harris County Veterans Court in October of 2012 to visit with Judge Marc Carter. Scott Pelley: Two and a half million Americans have served in Iraq and Afghanistan; many of them, more than once. The VA tells us about 20 percent come home with post-traumatic stress disorder, known as PTSD. So, that comes to about 500,000. For some, returning is harder than they imagined. The suicide rate for the Army is up 15 percent over last year. For the Marines its up 28 percent. A few of our troops return to become something they never thought they could be: criminals, for the first time in their lives. Around Houston, in Harris County, Texas, 400 veterans are locked up every month. We met a judge there who saw them coming before the bench, fresh out of the warzone and he thought a lot of them were worth saving. Judge for yourself once you meet some of our troops, coming home. It turned out another military brother was also in the criminal justice system. An Army veteran named Marc Carter. Scott Pelley: Texas State District Judge Marc Carter. Marc Carter: I will give you some options, and you will tell me whether or not you want to be here or whether or not you just don’t want to deal with it. And if that’s the case, then I know where to send you. Prison. Scott Pelley: Carter was watching fellow veterans, broken before the bench. Afghanistan. Iraq. Post-traumatic stress, addictions, pretty much the same story a few hundred times a month. Carter also knew that the VA hospital a few miles away had plenty of empty seats in programs for PTSD and addiction. Marc Carter: You have to put them in a program that’s going to help them, that’s going to make them be successful. If you just put them out there on probation they are going to fail. If you put them on probation that is tailored to deal with their problems, PTSD and drug use, then they’ll be successful. They won’t have to go to prison. Scott Pelley: Do some of these veterans not want to believe they have PTSD or not want to admit that they have that kind of problem? Marc Carter: There is an interest– a vested interest in them not to admit that they have PTSD while they’re serving. There’s a lot of self-destruction in that because you know you need the help and you’re not getting it. And you have others that are just in denial, “Everybody else is wrong, not me. The whole world is wrong, I’m right.” That’s denial. Scott Pelley: In 2009, Carter and other volunteers opened a court just for vets who’ve committed first time felonies, things like assault, robbery, drunk driving, spousal abuse. After arrest, vets have a choice, go through the regular system or come to this court with its mandatory two years of treatment and supervision. About 40 vets a year chose Judge Carter. Marc Carter: They do more programs on this probation than they would ever do on any other probation in the state. 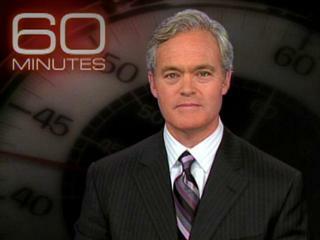 Scott Pelley: Are you saying this is a harder road? Marc Carter: Kevin Thomas. Another Marine. How are you, sir? Marc Carter: I just want to tell you, it takes a lot of courage to go back in there and face those monsters. Marc Carter: Good job, sir. Scott Pelley: Every two weeks, the vet reports to the judge. Troublemakers are kicked out and sent to the regular probation system. But there haven’t been many of those, only nine out of 100 vets so far. Because of that, veterans’ courts like this have sprung up in 27 states. There are 100 already with another 100 planned. Bill Kelly: Tony, since this 60 Minutes episode the Veterans Court in Harris County has established an official peer mentoring program dedicated to serving that docket of justice-involved veterans. Why is peer mentorship so important in having a successful veterans court? Tony: Personally, I believe every veterans treatment court should be accompanied by a strong mentoring program and that’s what we are trying to do here and create for the state of Texas through our VCAMP Program and other trainings that we do. Prepping veterans who have successfully transitioned to engage veterans in treatment court and veterans suffering from mental health issues to make them see the light and understand that there are other people who have walked in their shoes. They are not alone. If you’ve got issues with depression, if you’ve got family issues, these veterans have been there and done that they’ve walked downrange and came back and struggled just like you did and understanding that you’re not alone and you can talk to somebody about these issues that have received proper, formal training. It can save lives and it has saved many lives and we are very proud of that, we are proud of the direction that the state is going in supporting and increasing peer capacity for peer mentoring. Senate Bill 55 by Jane Nelson and it’s House companion House Bill 1429 by Susan King that creates a grant program to support community mental health programs for veterans with mental illness. The strong bipartisan support that veteran services enjoys includes the new Chair of the House Committee on Defense and Veterans Issues Representative Susan King of Abilene as well as veteran court advocate Rep. Joe Farias who traveled the state during the interim to learn how each veteran court model was working. We will need their support this session in order to make good on our promise to get our veterans the support they have earned. Bill Kelly: For the last word, I wanted to let Tony give his take. I’d say his earned it, not only because of his courage in serving our country, but for his dedication to making a difference in the level of service our veterans receive. Tony, if there is one thing that people listening need to know about getting veterans the help they need, what should they take to heart? Tony Solomon: Most Americans will never join the military or fight for their country but what I would like for all of you to take to heart is that the battle isn’t over just because the war is declared over. We’re dealing with brain injuries, combat stress, substance use, access to reliable health care, homeless, underemployment, justice involvement. All of these things become the new battlefield. It’s up to us, our community to build strong partnerships and implement innovative outreach and engagement strategies; educate employers universities, elected officials on resources, transition assistance, crisis intervention and jail diversion. We need to help these veterans make a connection for help, first and foremost, and we need to challenge government to do right by our veterans, hold them accountable to this. The average veteran brings so much resilience and leadership to the workplace and to their community that America really needs to get past these Hollywood stereotypes. At the end of the day the modern veteran is a volunteer that believed in something greater than themselves and that loyalty will never go away. Music From this Episode: “Train,” “Carried on Wind,” “My Song for January,” and “Positive Feeling” by Dexter Britain; “Break Bread (Ninety-Four Drums of Death Instrumental)” by Deadly Combo; and “Noah’s Stark” by krackatoa. In loving memory of Kevin Thomas, a proud Marine Corps veteran. He is survived by his his sons, Jaden and Kaleb Thomas; mother, Bernadette Auguste; father, Emerson Thomas; brothers, Shawn Thomas and Mark Thomas; sister, Britney Auguste; nieces and nephews, Trinity, Zoei, Raegan, Elijah and Jesus and numerous other family and friends. After talking about the members from Greater Houston working on the House Appropriations and Senate Finance Committees, we wanted to turn to the local organizations here in Harris County who have been working with the Legislature on bills and explore the services that come with legislative action. 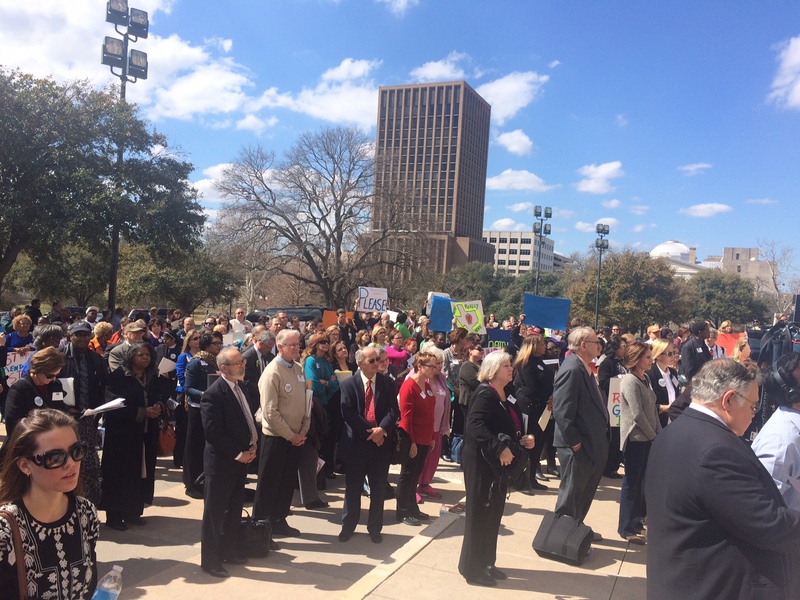 The organizational partners that are helping make a difference this Session through advocacy and education are vital to the progress of mental health policy in Texas. Here are a few of their stories. We’ve mentioned both Legislation and legislators, but what ties those two together are the effects that bills and funding have at home. Here in Houston, we are very fortunate to have a number of organizations that are both directly providing services as well as pushing policy agendas to improve mental health outcomes. I want to start off with our partners at One Voice Texas with the United Way. One Voice is a collaborative network of public, private, and non-profit organizations in the greater Houston area working together to ensure that the health and human services needs of all Texans are addressed through education/awareness, program development, advocacy, regulation, and funding. 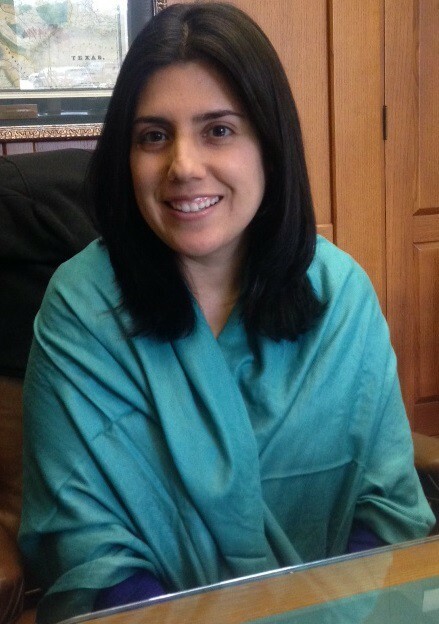 Lillian Ortiz is the Director of Behavioral Health Policy as plays a major role in their legislative advocacy in Austin. This year, One Voice has been focused on Home and Community Based Services as a major plank in their policy platform. In my interview with Lillian, she mentions the unique qualities that have allowed for One Voice to connect to legislators to direct service providers and as well as experienced government relation professionals. Bill Kelly: I’m here with Lillian Ortiz with One Voice Texas. Lillian has been very much involved with the government relations and public policy side of emphasizing behavioral health policy within Texas and particularly with home and community based services. Lillian, thank you very much for joining me today. I wanted to talk about some of the activities you did during the interim, particularly on bringing law makers in to focus on talking about behavioral health. How did that go for you? Lillian Ortiz: So, with One Voice one of the things that we are able to do is really kind of bring all of our membership together and the networking that is available within our membership and really reach out to elected officials and say ‘Come in, meet our membership, hear about what it is that providers in our community are doing also here about what it is that they need to be able to serve their constituencies.’ So we are very lucky that we have connections with so many legislators. They have been willing to come in, sit down and have rather informal conversations with our membership and hear what it is that’s going on in the community, what our continuum of services looks like and what the next steps may be. And one of those next steps obviously is home and community based services. Kelly: Absolutely and when we talk about specifically House Bill 1393, I know Representative Turner is going to be carrying that but some of the conversations you’ve had in meetings I’ve been able to attend you’ve had Chairman John Otto of House Appropriations, you’ve had Senator Joan Huffman talk pretty extensively about mental health services in different forms that you’ve been able to put on. That’s got to have some great traction over all. Another bill that has a history with a local Houston organization is Rep. Cindy Burkett’s House Bill 1541 on peer support services. 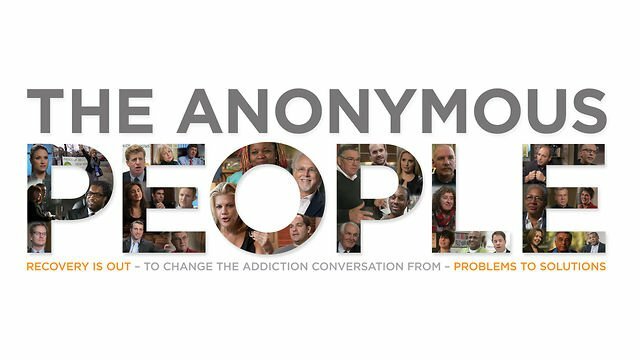 The Houston Recovery Initiative, based out of the Houston Sobering Center, has been working to lead organizations that work with addiction and substance abuse populations. I spoke with Suzanne Jarvis and Katherine Little, the two co-chairs of the Advocacy Committee for Recovery Initiative about how they are organized, their work with peers, and what they are doing to advocate in Austin. Whenever groups are working together, it makes their work more effective, and the Recovery Initiative definitely takes advantage of this both in Austin and here in Houston. Now, I wanted to give an example of a group not looking at advocacy but instead looking to provide information. We’ve talked before about our friends at the Meadows Mental Health Public Policy Institute but I wanted to specifically talk about Dr. Andy Keller. 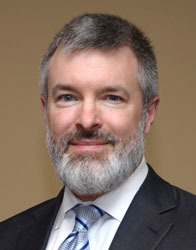 Dr. Keller is Executive Vice President for Policy and Programs and a licensed psychologist with more than 20 years of experience in behavioral health policy and particular expertise in health and human services integration, behavioral health financing, managed care systems and purchasing, and implementation of empirically supported practices for adults and children. You know, the basics. 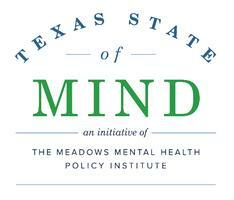 Dr. Keller is responsible for all behavioral health policy work and all policy deliverables of the Meadows Institute. As we’ve discussed on this blog at length, when the criminal justice system becomes the safety net for people suffering from mental illness, we better take positive steps to provide needed medical care or get ready for recidivism. I note that Dr. Keller was speaking at the Texas Public Policy Foundation “Smart of Crime” forum, which shows that providing better access to mental healthcare isn’t just liberal or conservative but frankly pragmatic and right for Texas. Finally, I wanted to brag on our friends from the National Alliance for Mental Illness, better known as NAMI, for their advocacy on Capitol Day on February 19th. Coordinating with other NAMI chapters and mental health advocates from across the state for Mental Health Awareness Day, leaders in Austin heard first hand of the need to invest in services. I took the following video of Sen. Charles Schwertner’s address to the assembled crowd on the south steps of the Capitol right before advocates began meeting with Legislators and their staff about specific bills and gauging their support. So with all of these groups working together, and a great local team of Legislators in positions of leadership for securing resources, the Legislature is poised to continue the momentum for mental health. So what groups need both the money and bills to get badly needed services? Let’s start where I think just about everyone agrees we should start with: our veterans. More on that, next time.